The lighting you choose for your wedding reception, party or special event truly makes all the difference in the world. Even though the venue you chose is beautiful, the right lighting mixture can transform any location into a scene from a hit blockbuster movie. Clients set the color palette and mood with our wide selection of wireless uplights. Whether you want a cool blue theme or a warm amber tone, we have the uplights you need. Other effects such as L.E.D. dance floor lights, gobo spotlight monograms, mini lasers, L.E.D. light curtains and pin spotlights complete the package. Many of our clients choose special effects to highlight specific parts of their event. Brides and grooms love having their first dance on a cloud with our Nimbus Cloud Machine while others choose to dance under a shower of bubbles. Scroll through the photos at the top of the page for samples of our decor lighting. 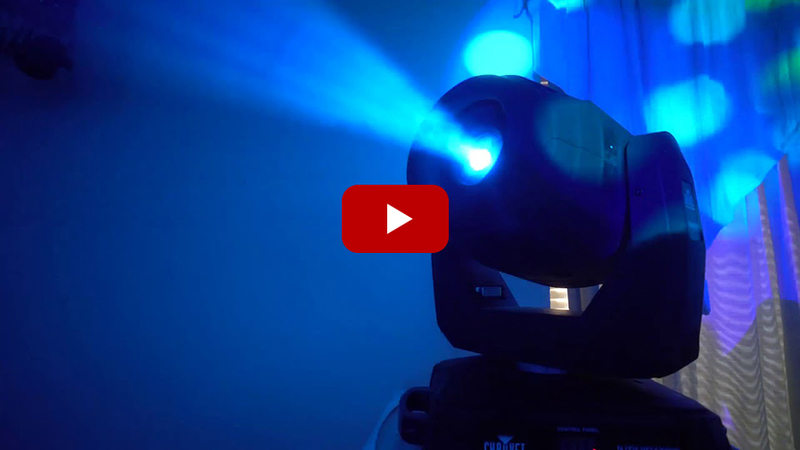 The videos below show our lights in action. Should you need help selecting the right lighting for your event, call our Ft. Lauderdale offices at 954-721-9911 and speak with a lighting expert today. LED Robots Rocking the Nimbus Cloud! Looking for a L.E.D. Dance Floor? We have it! Click here for more details. Up Lighting: The most requested type of lighting used at all weddings and events that wish to enhance the appearance and mood of their celebration. 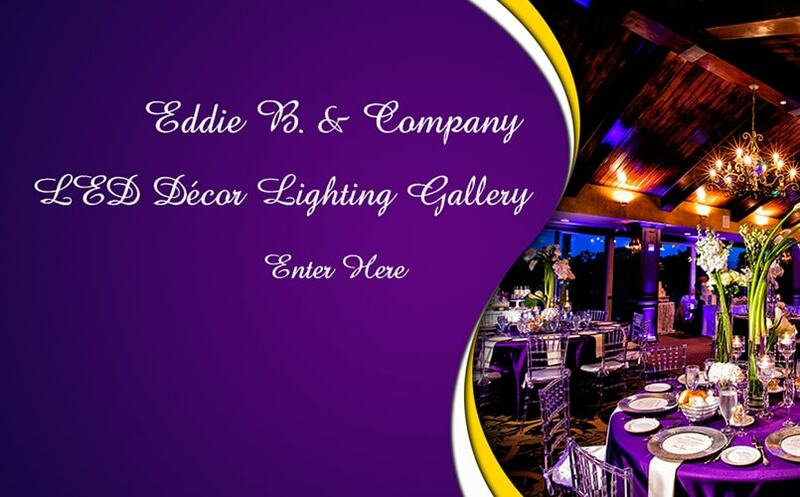 Here at Eddie B & Company we use only Wireless LED Up Lighting from which we can mix a rainbow of colors that produce a warm glow while transforming your room into a unique environment. We always recommend at least 12 to 16 Uplights for smaller venues, and 20 to 30 for larger ballrooms. We also offer programmable Up Lighting which makes it possible to change the color or multiple colors of your choice throughout the event. Example: Your guests are invited to dinner and enter an Amber lit golden ballroom, or maybe Cyan or Royal Blue if your are near the ocean or intra coastal waterway. Once dinner is over we dim the house lights, strike up the tunes, and let the LED lighting take over. 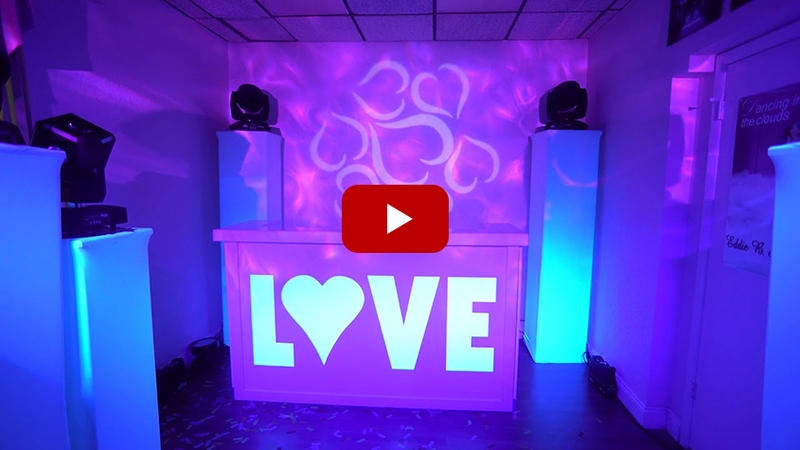 Maybe you want to change the ambiance of the room to a Lavender, Fuchsia, or Ruby Red, while LED dance floor lights, mini lasers, and color wash effects illuminate the dance floor. Monograms and Gobo Spotlighting: Becoming more popular with Weddings and Corporate Events.Your names/initials or company logo inscribed in light projected on the ceiling, dance floor or walls. 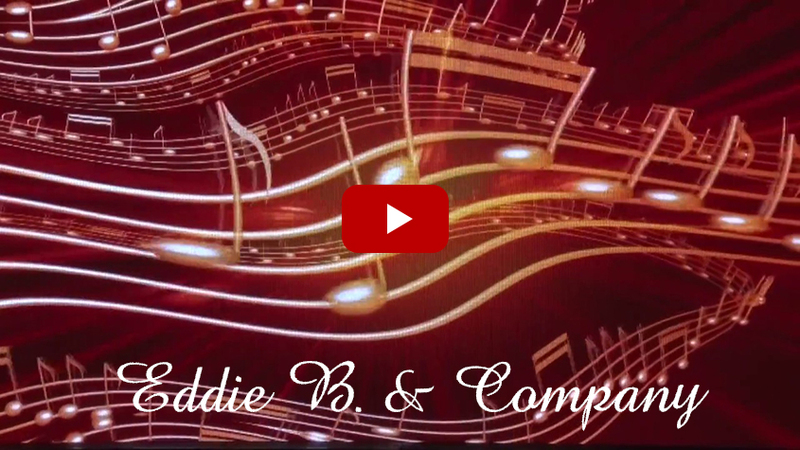 Eddie B & Company will suggest and help you design a customized monogram according to your detailed specifications. We can also project patterns of Stars, Musical Notes, Hearts and Snowflakes or Happy Birthday, Congratulations, Happy Anniversary or any phrase you desire! Monograms and Gobos are the finishing touch to your creation of lights! 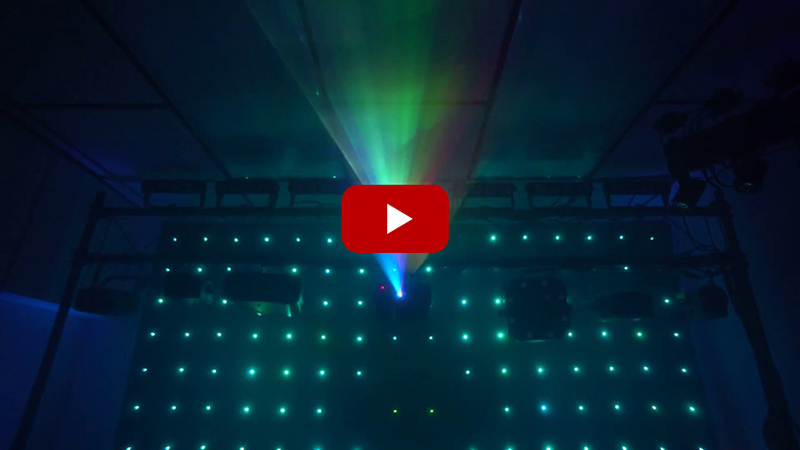 LED Dance Floor Lights: Color and motion are what LED Dance Floor Lights bring to your event. There are dozens of affects, colors and patterns to choose from. You might want to create a night club atmosphere with the lights pulsating to the beat of the music, or something more of a relaxing mood with color wash effects. We invite our clients to visit our office/showroom where we can demonstrate to you first hand what your room will look like the night of your party! Nimbus Cloud Machine: A professional dry-ice machine designed to deliver thick, low lying clouds that hug the dance floor and dissipate without rising. Most popular with weddings for the bride and groom’s first dance. We also add LED Color Rails that produce a rainbow effect underneath the clouds to make this dance even more memorable! Please view the videos below to see the Nimbus Cloud Machine in action. Intelligent Lighting: The most advanced type of lighting we offer is Intelligent or Smart Lighting as we call it. 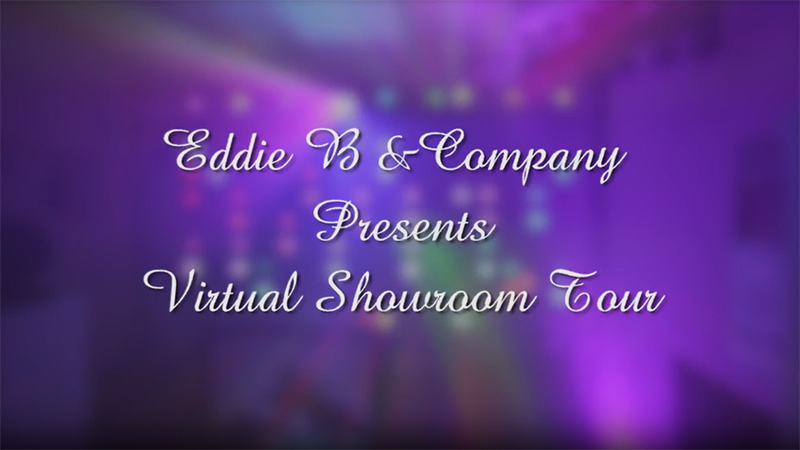 The moving heads of light are programmed to the music and controlled by an Eddie B & Company technician. This is like bringing a night club to your party! 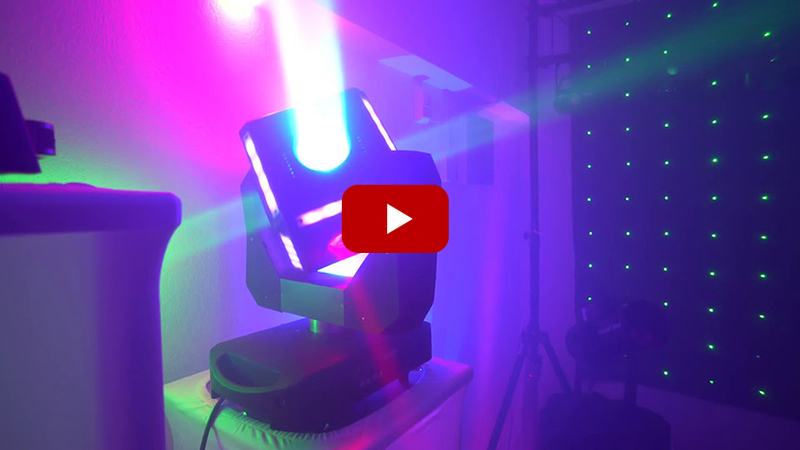 These lights move, flash, and dance to every beat of every song while projecting a rainbow of color and a variety of gobo patterns. Intelligent Lighting creates excitement and changes the mood of the entire room into a modern day dance club! H2O Color Wash Effects: One of the newest effects we offer for mood or background lighting are the H2O simulated water flowing projectors. These are incredible for coloring ceilings, dance floors and walls, while adding motion to this stunning visual effect. 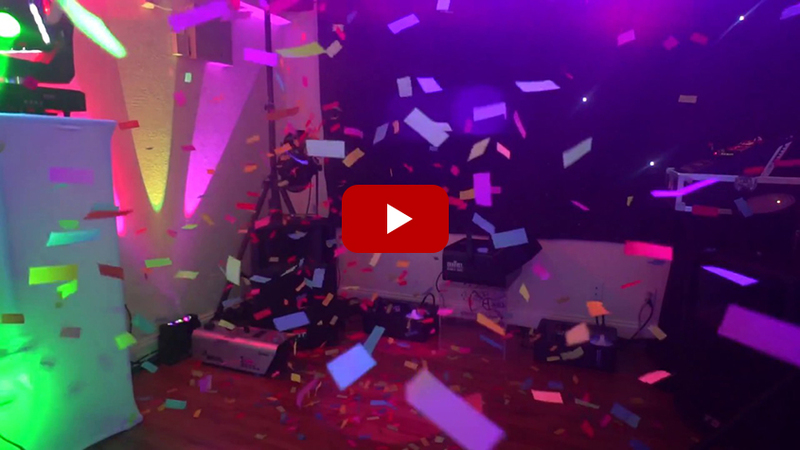 We can give you one color the entire evening or a rainbow of colors mixing slowly throughout your entire event! This effect is stunning with your names/initials, corporate logo, or special message projected in the middle. 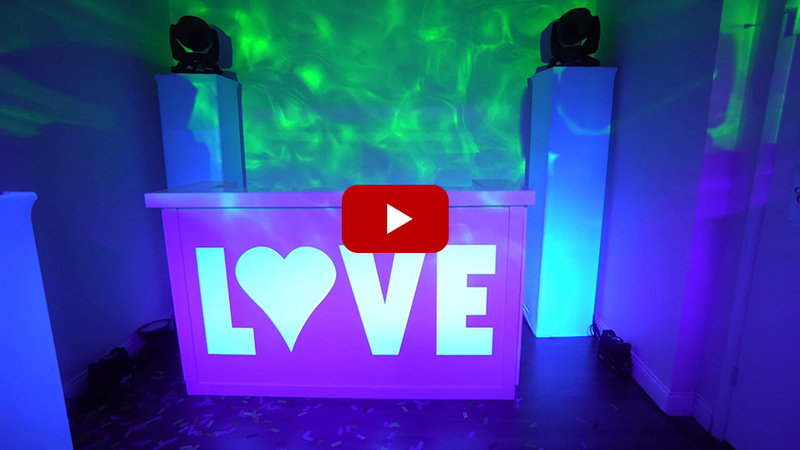 LED Light Curtain (Motion Drape): Used primarily as a backdrop behind the DJ set up, Bride & Groom’s sweetheart table, or anywhere you want to focus attention. We hang the 6 ft. x 10 ft. drape from a secure frame displaying a variety of colors and animated effects throughout your entire event. Please view our video. Fog & Haze Machines: We offer these effects only where permitted because of smoke alarm issues. Primarily used to accent the beams of LED lighting and produce a night club atmosphere! We use sparingly (where permitted), a tropical flavored juice that produces a mist of fog or haze.